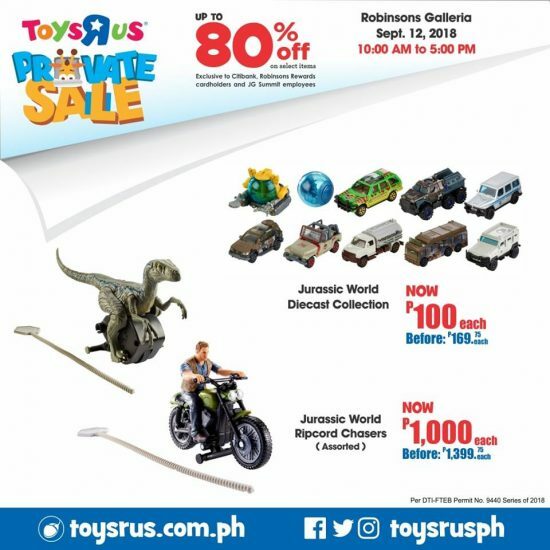 Kids and kids-at-heart, experience the thrills of scoring hot toys on massive discount from Toys R Us Private Sale 2018! 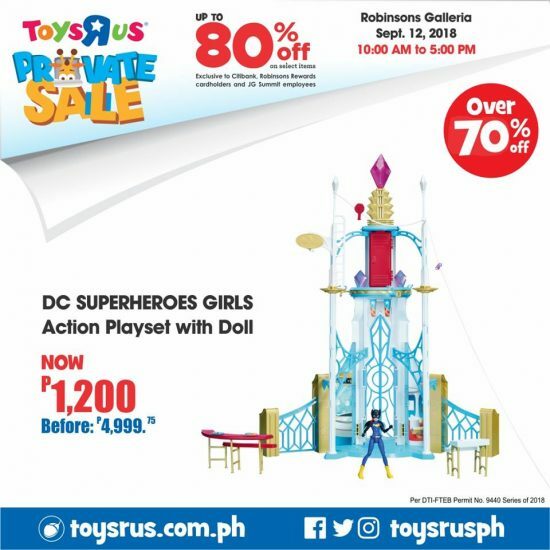 It is only September but it turns out that Santa is making an early visit to Robinsons Galleria. Gird your loins and get ahead of the holiday rush, dear shoppers. 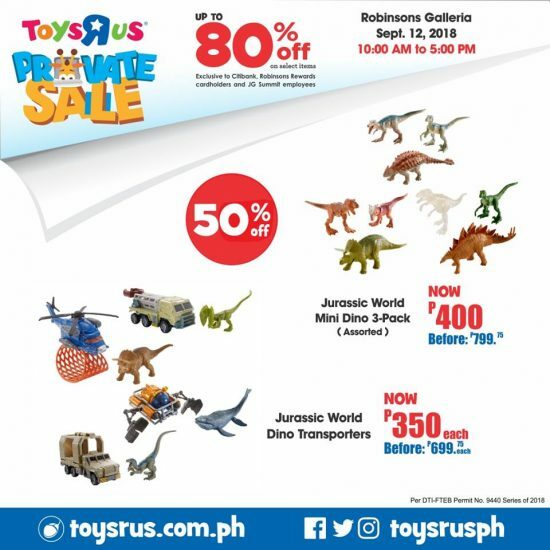 Discover huge collection of toys at exceptional prices from Toys R Us Private Sale 2018. Fill up your carts with delightful toys & games for your kiddos when you shop at Robinsons Galleria on September 12, 2018. 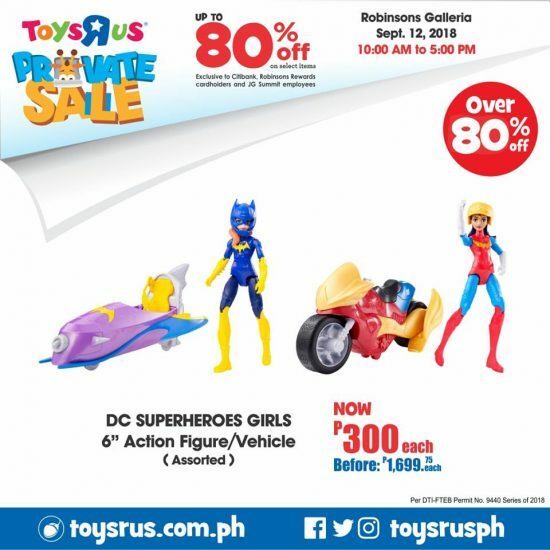 Explore the magic and enjoy savings up to 80% OFF on your favorite toy brands from 10:00 AM until 5:00 PM. 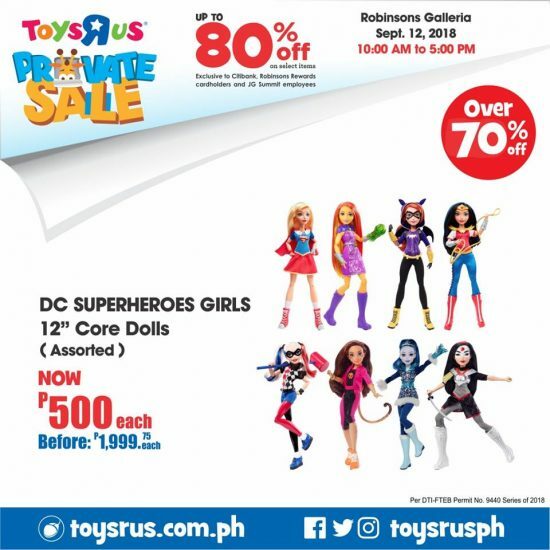 Get your shopping list and bags ready and see you at the 4th Level of Robinsons Galleria. 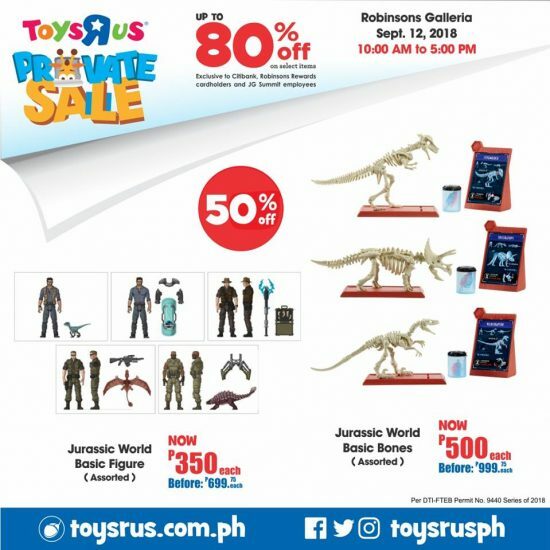 The event is exclusive to Citibank, Robinsons Rewards cardholders only as well as JG Summit employees. 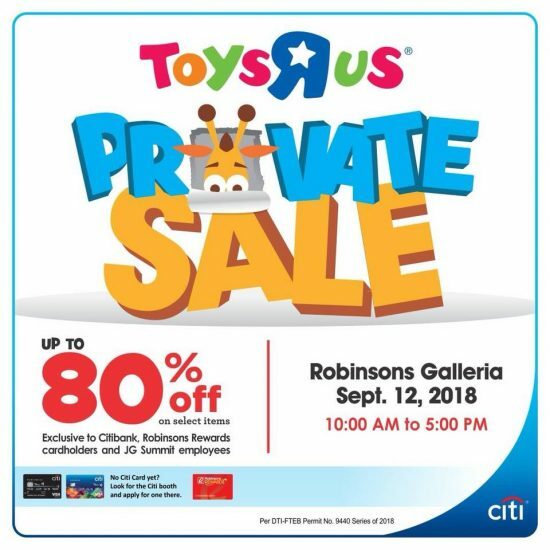 Simply flash your Robinsons Rewards and Citibank cards to gain access to the venue. For JG Summit employees, you just nee d to present the Employee ID. Don’t have a Citi Card yet? Look for their booth at the venue to apply for one. Visit their official Facebook Page from more updates and load of surprises.